The Embassy of the Republic of Madagascar in Berlin organized in partnership with the Embassy of France, Fête de la Francophone, an event to celebrate French culture and language in Berlin. The lovers of French language gathered together on 12th March 2016 at the Centre Français de Berlin. The event’s theme was "Shared growth and responsible development: the conditions of world stability and the stability of the Francophone space". 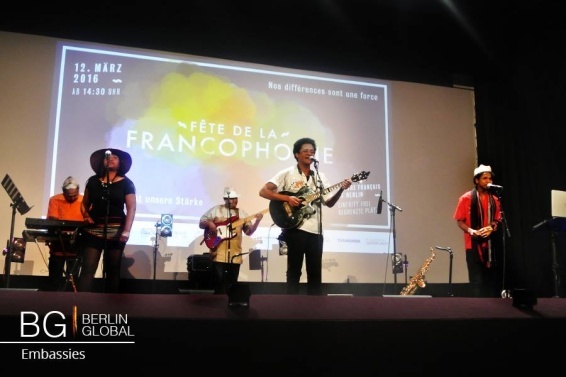 This event can be seen as a wonderful example of cultural diplomacy as it connected three different nations together: the aim was to promote French language to Berliners and strengthen the alliance of solidarity between the members of francophone communities in Berlin. 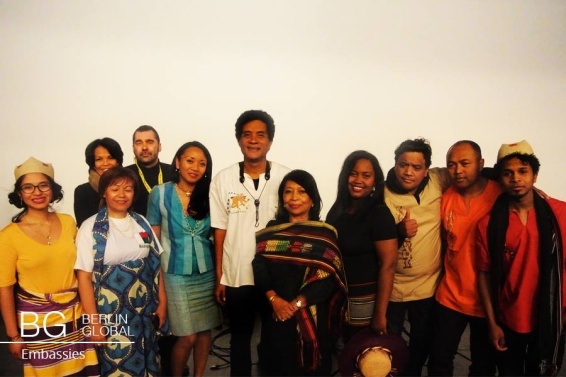 After the speeches given by both countries representatives, the evening continued with a concert by Madagascan artist MFA Kera and Malagasy artist “Njakatiana”. In addition to this, visitors were able to enjoy the entertainment provided by promotion booths, workshops of traditional decoration masks, music, dance, song and story telling as well as projections of short and feature length films that both respective countries provided for the 2,500 people who gathered together. Club RFI Radio organized the France International Panel and in this discussion they stressed that sustainable development is important especially when the environment and human rights are taken into account together. Madagascar and France have a long history behind them and with occasions like these remind us how the relationship of previous colonial subject and master can celebrate their shared memory in a productive way. The French language and culture is an important factor in Madagascan history, as Madagascar gained its independence form French colonial rule in 1960, after it had served under it since 1897.